In the summer of 2011, Gilbert Johnson, an Edinburgh antiquarian bookseller suffering from cancer who has only ever travelled via books before, decides to make one big journey while he is still fit enough - to British Columbia on the trail of an early settler he believes may have been his runaway grandfather, a man who went on to become important in the embryonic `Indian Rights' movement of the 20th century. Flying over the Rocky Mountains he meets a fellow passenger, a Canadian woman, so beginning a relationship that ultimately carries the two of them deep into the interior of the province. 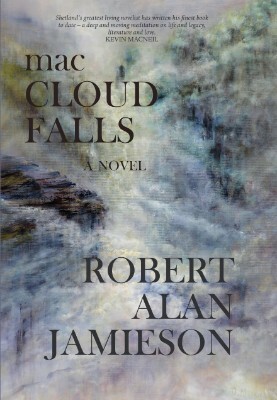 macCLOUD FALLS is both an exploration of the Scottish colonisation of B.C., and a roadtrip romance full of humour, rich characters and incident in the shadow of impending death.